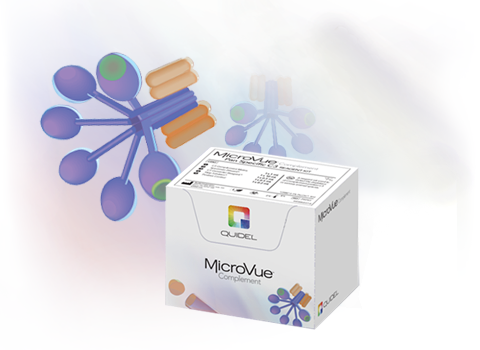 The MicroVue Pan-Specific C3 Reagent Kit represents a novel approach to fill the gap of animal-specific Complement ELISAs. This testing method expands the arsenal of Complement analysis in animals; enabling preclinical immune toxicology testing of C-mediated (pseudoallergic) adverse drug effects. The test allows quantitative measurement of C3 in animal blood, plasma or serum. The C3 Complement Matrix and the C3 Converter Reagent, convert the activity of C3 in the animal specimen to human SC5b-9 that is detectable with the MicroVue SC5b-9 Plus EIA Kit.